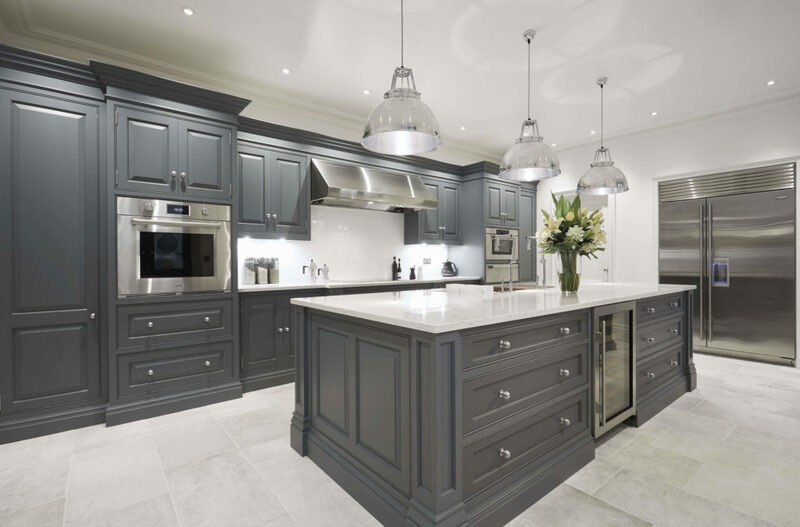 This impeccable dark grey shaker style kitchen brings a classic concept bang up to date. 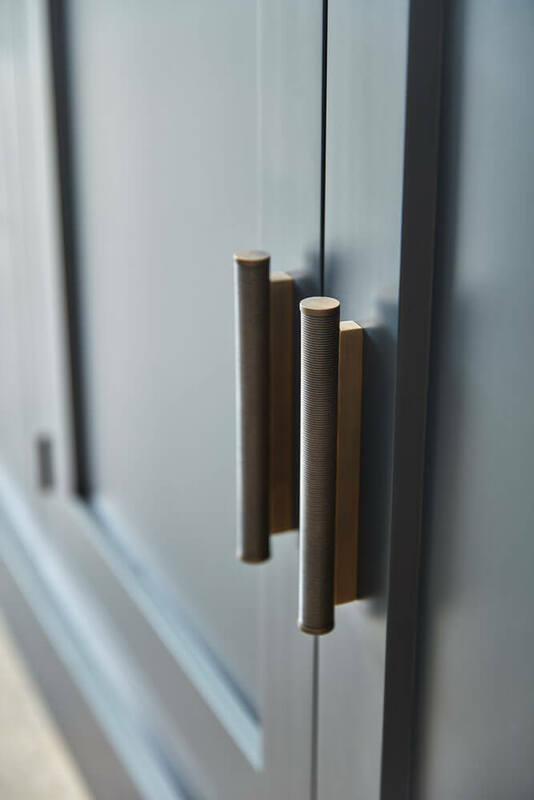 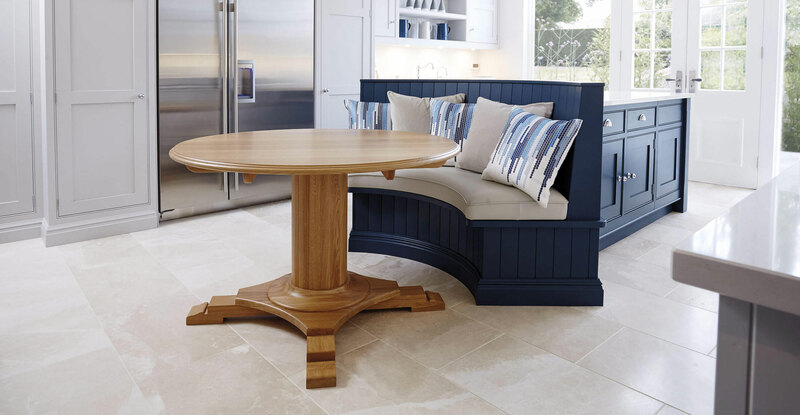 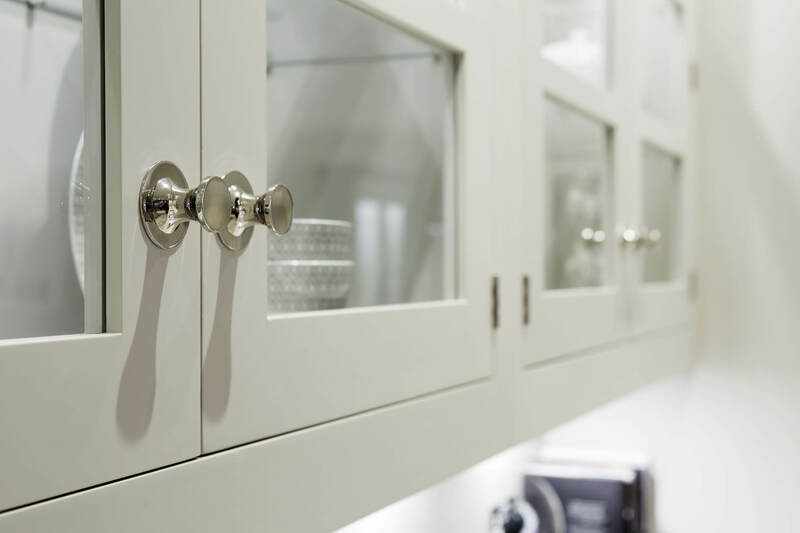 The hand-painted finish echoes the quality and craftsmanship that has gone into every inch of the design and build. 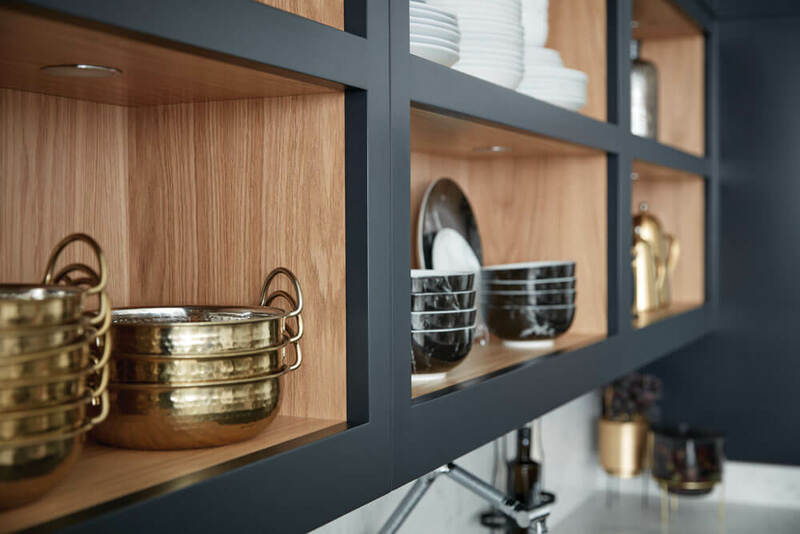 Typical shaker style open shelving is given a contemporary twist with discreet lighting to showcase gleaming copperware. 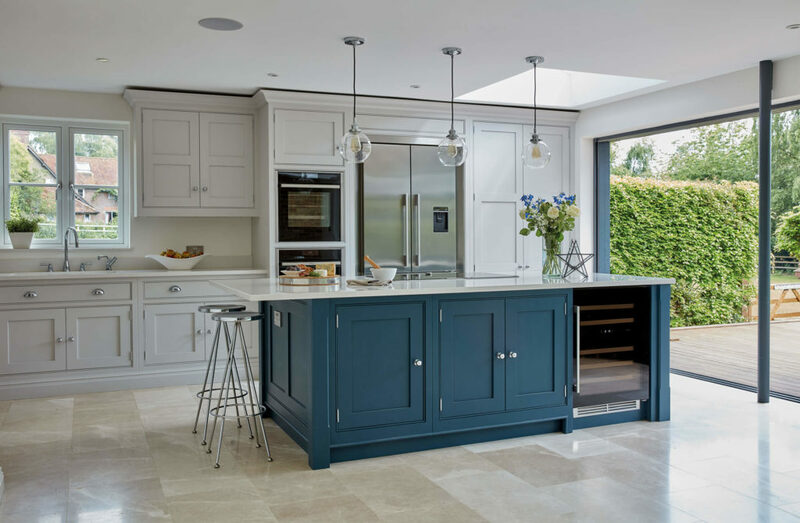 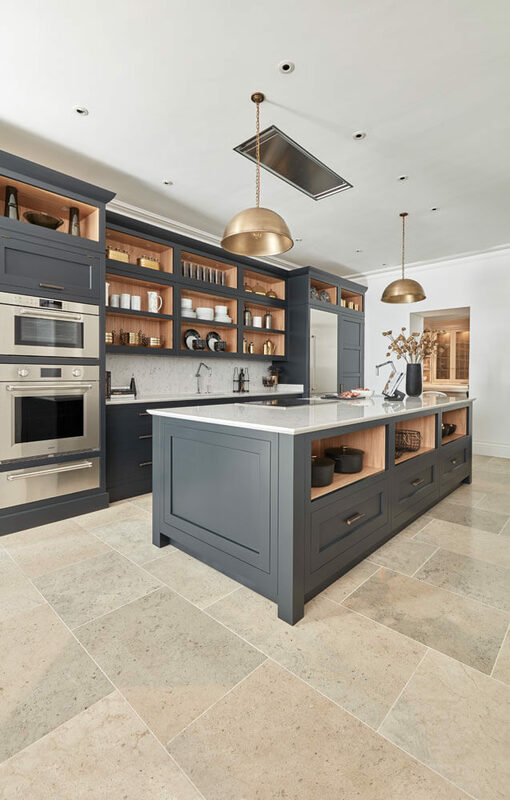 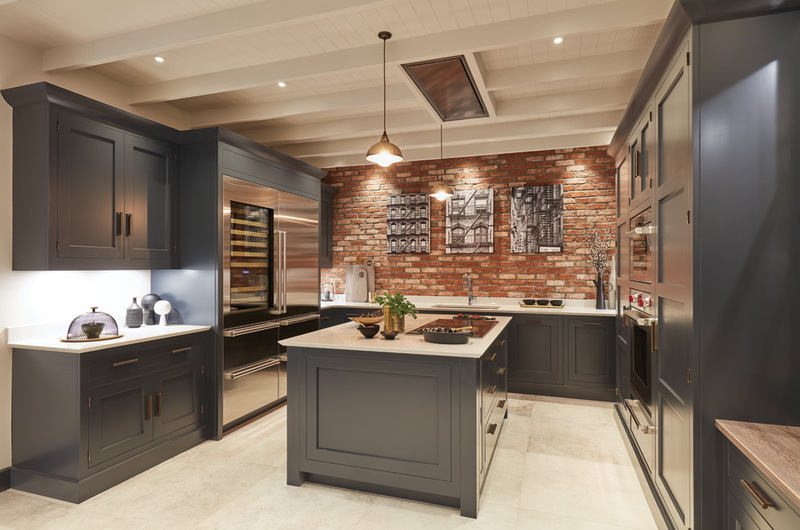 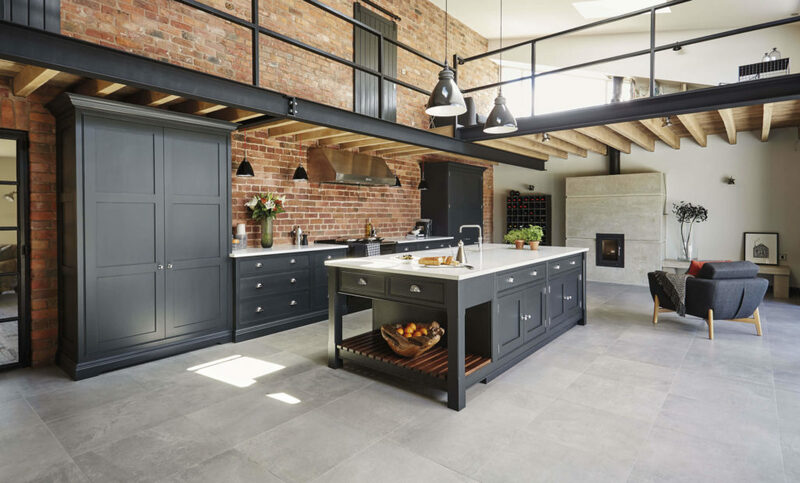 The design promotes a sense of space and highlights the ingenious planning that has gone into every aspect of this kitchen from its appliances to the generously-sized, bespoke island. 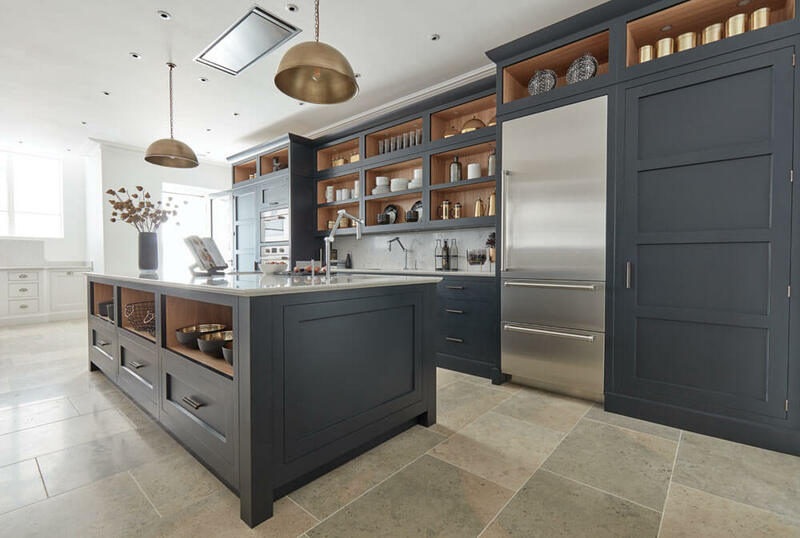 This large kitchen makes the most of its footprint by incorporating a beautiful, oversized island. 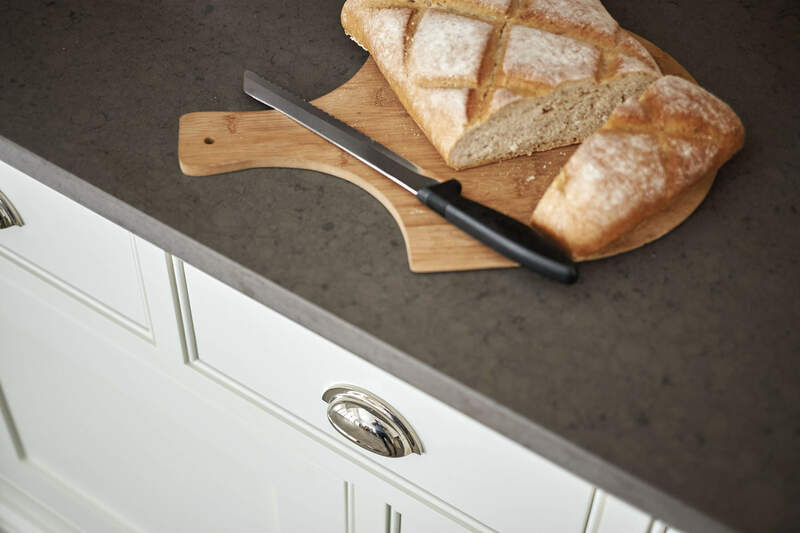 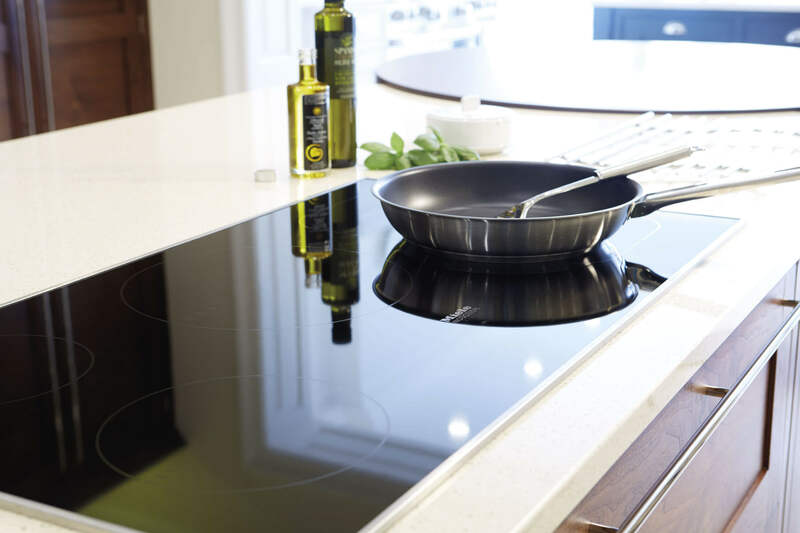 A gleaming, shark tooth worktop is an eye-catching contrast to the dark grey finish. 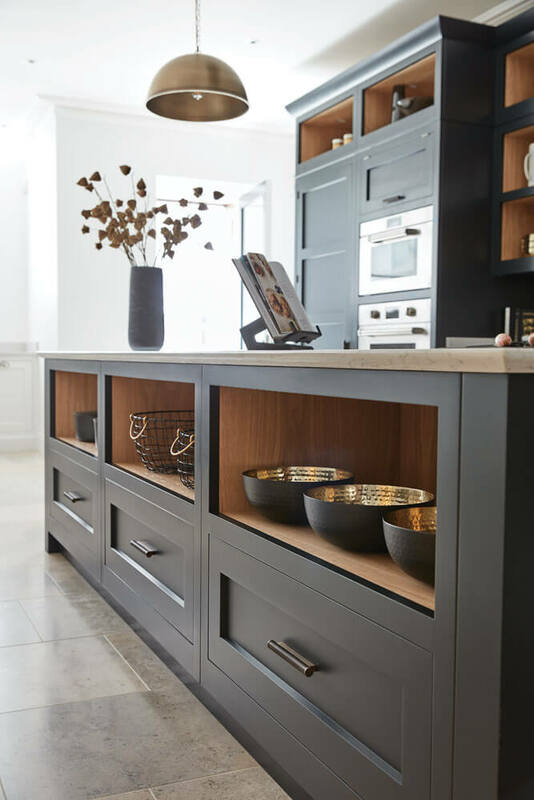 The open shelf theme is continued offering additional storage and a second sink is cleverly set into the centrepiece giving the rest of the kitchen extra space for preparation and cooking. 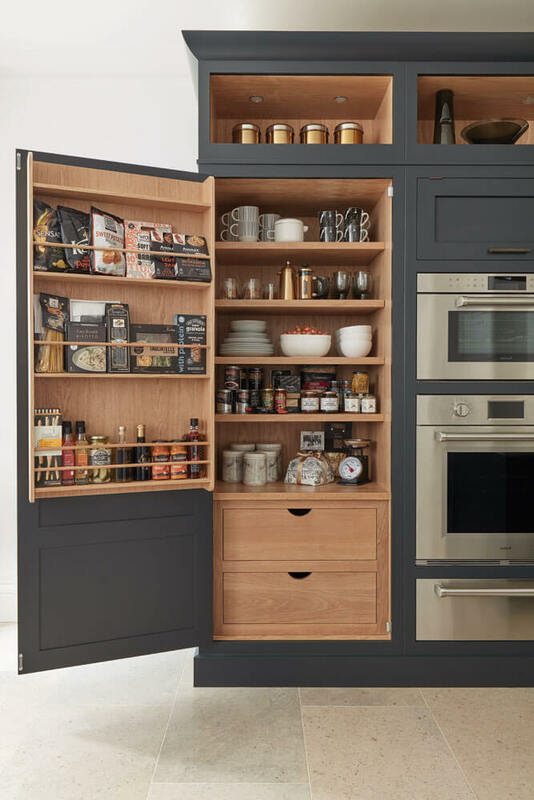 Smartly designed to sit next to the integral fridge is a bespoke pantry featuring shelves, racks and storage for dried goods, condiments, spices and crockery. 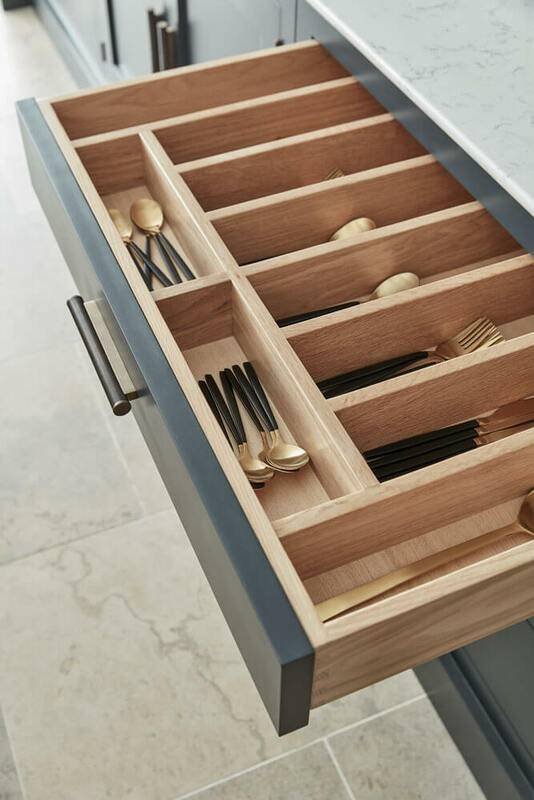 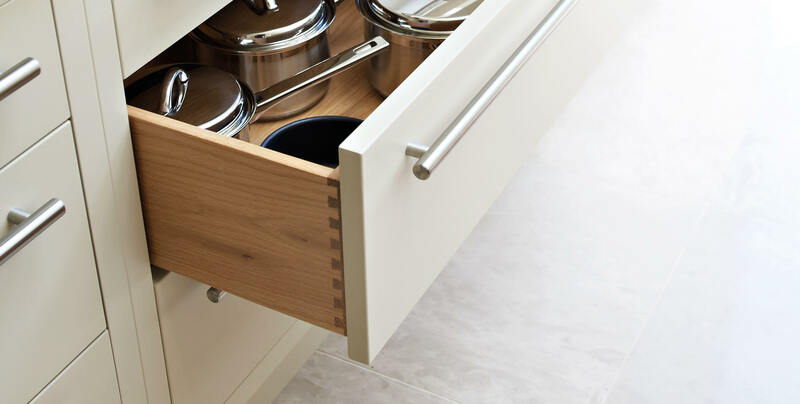 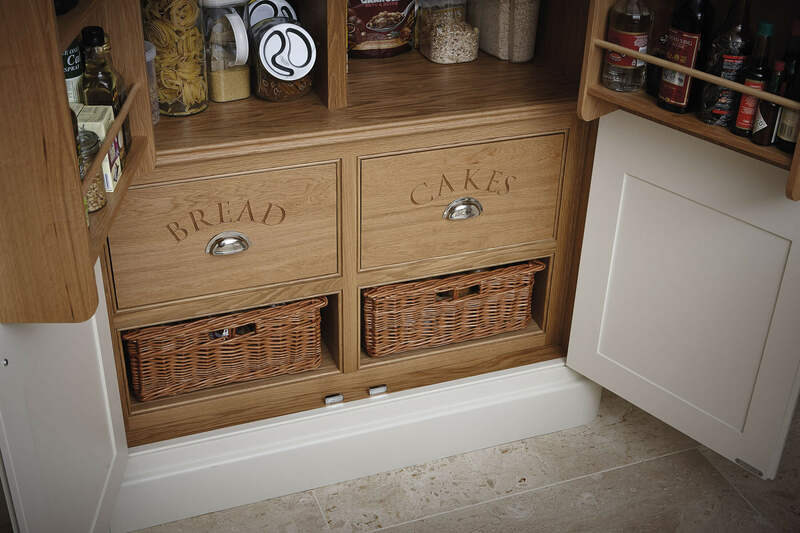 Seamlessly hidden behind dark grey doors are deep drawers for kitchen essentials making sure everyday items are out of sight but within easy reach. 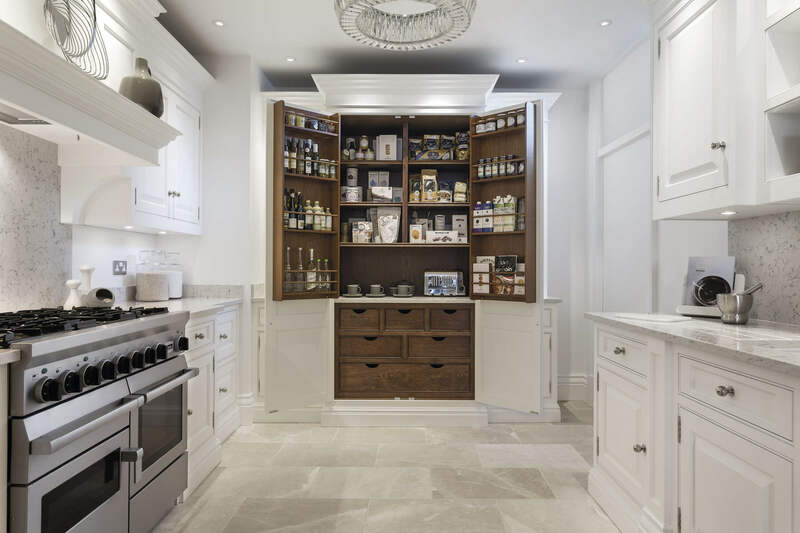 The use of open shelving on the walls and inside the island gives numerous storage options as well as a place to display prized pieces. 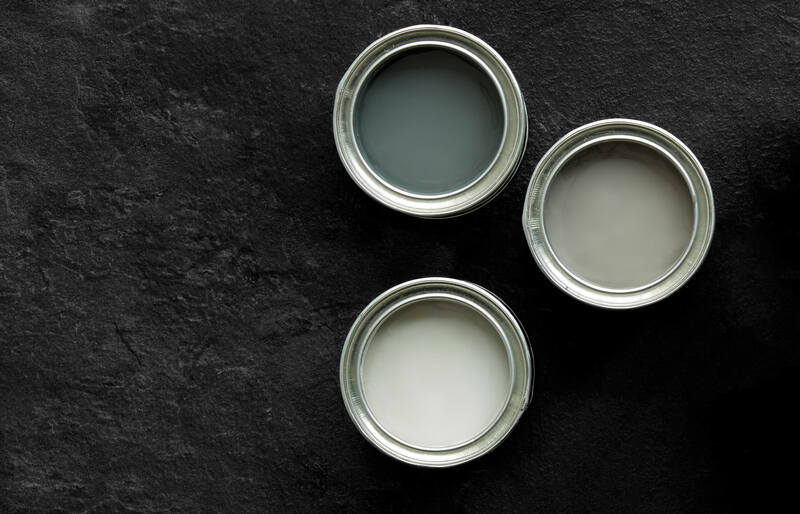 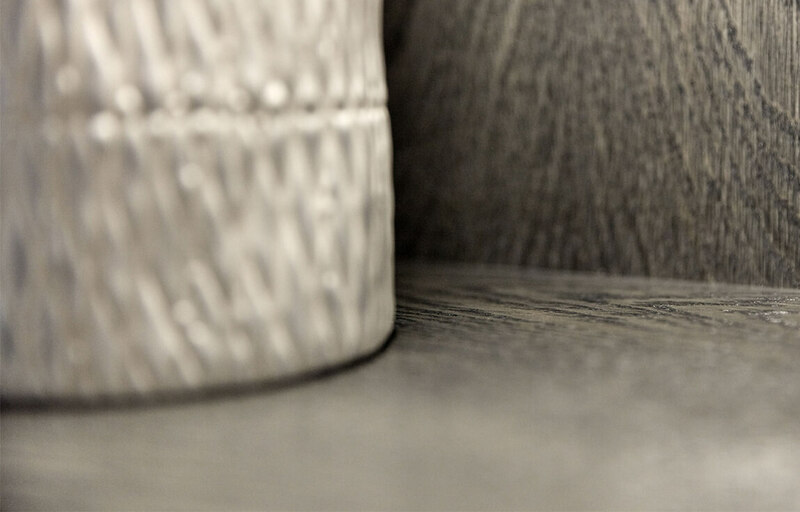 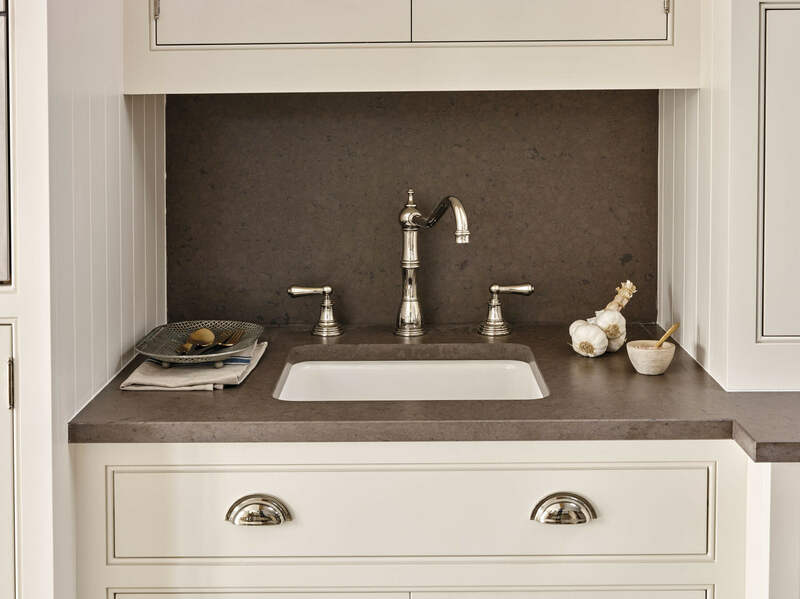 The striking dark grey finish looks both luxurious and contemporary and works wonderfully with the white worktops. 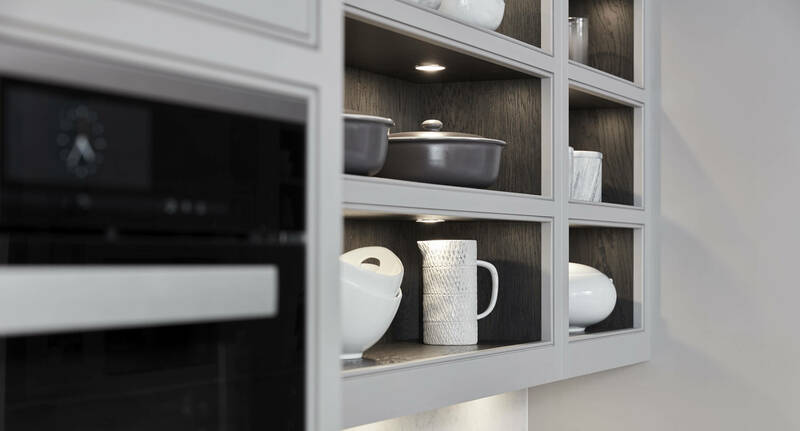 The strategically placed lighting inside the shelves gives the room a warm, inviting glow after dark.